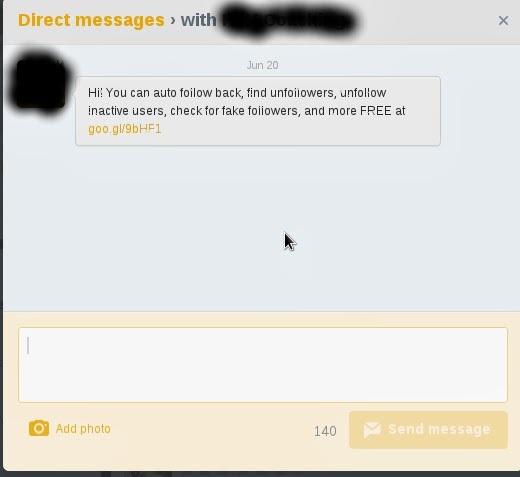 You may all probably wondering why people send URL links via DM right after you follow them. Is it a spam link or is it their real blog or website's address? You just don't know how to find it and then you end up unfollowing them or just letting it go and never reply or talk to them about it. 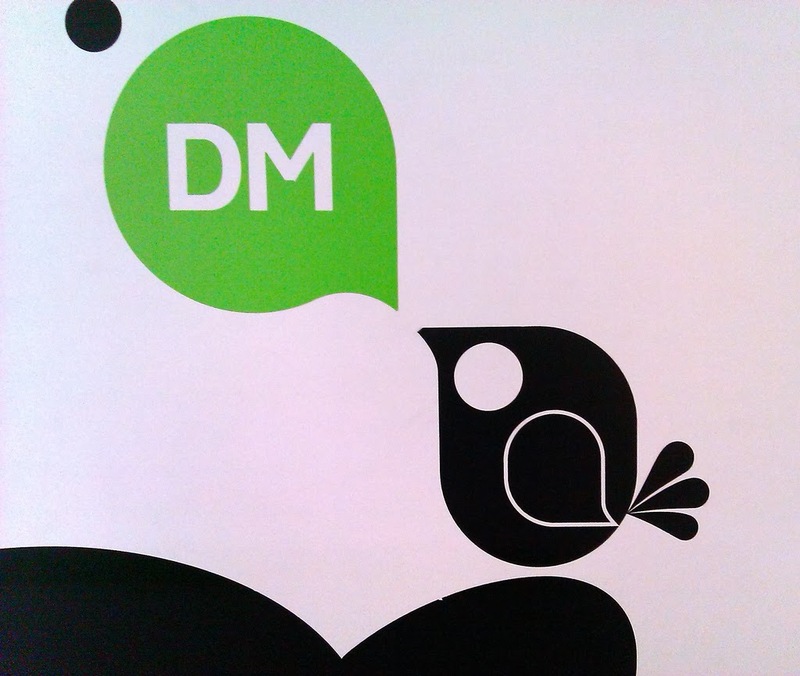 This post will provide you some tips to send urls in a DM on Twitter. Now lets see about the two things that can happen when sending a url with a DM message from the tweeters. Is that the reason you're sending DM to the people who follow you and only want to get to know you? Or do you think it is the way of telling the people that you're onto something ? Anyway, it can be either directly or indirectly, still the best thing is you're doing it for the growth of your business. How are you going to increase your traffic just by sending your url link with the DM? When you send out a DM to an unknown person who just followed you will likely to click on the url if send any which is a good gesture provided you don't spam them. The urls are sent only to let people know you more and your interests, profession. Let me guess, when I send an url to you , what would you do? Will you click it? Obviously not., only if you want to know about me and find something interesting and informative on my url with some trust that I don't spam you. It has become a common practice to use url shortners while sending links in tweets, DMs just to make use of those 140 characters somewhere else. This is an advantage to the spammer bots, or spammer profiles which send spam urls shortened by most used url shortners like bit.ly, goo.gl etc., You might have noticed that the DM urls lesser these days as twitter is cleaning out the process of sending unknown urls. Do you think all the DM messages are spam? Fine. I agree with you that there are spams spreading through DM more than never before, but still there are other small scale marketers, bloggers, artists etc., who would try to power up their business through twitter taking advantage of the DM. There are hundreds of thousands of profiles on twitter that are spambots, still finding out a follower sending a url link via DM spam or not is something that we need to work on. Of course, you would assume an unknown url as a spam and it is been common these days. I always use to click on the urls that I feel as legit. You can sense the url even if it is shortened with any url shortners. Down here are some tips that would help you to send URLs via Direct Messages without being misidentified as spams. Twitter has blocked sending of urls in DM messages keeping in mind to avoid spams flowing all over. You can't just send any url in a DM now and most importantly it doesn't allow URL Shortners. If you really want to send URLs in DM messages here are some tips. As it is been said above, there are many url shortners that would let you shorten your url so that you can make use of the characters on Twitter. This makes your url invisible to others which is a problem to your followers because they might take it a spam sometimes unless you're some kind of a big deal in your industry. So, while sending any url link to your followers, make sure you add your full url to let them visit and know you. Even though it works earlier, now you can't send any shortened url. This actually goes opposite when sending tweets because you should allow your the tweeters to RT or add some characters with your tweet. You have to let people know that the url that you're sending is not a spam link. For this to happen, you should add your website or blog url at your profile. When a user sees a DM from you, they ll first see your profile to make sure you're not a bot or any spammer personality. And when they see the same url that you have sent them through DM, there's a chance of people knowing it is a legit link. You can send a DM with the link of a tweet that has your blog or website url so that people will understand and might throw a visit to your blog. Some people might think it as just another link and it goes both ways. You know what is right!! Yeah. Just think yourself as a user and you're getting a DM with a url. Most of the times your guess is right. You can differentiate the spam urls and other urls. Likewise, you know how you should send a DM without making an impression that it is a spam. Yes. Using url shortners will give you the analytics, number of clicks on that particular url. You can add a tweet with the shortened url and then send the tweet link to your followers to read and know about it. Sending URLs privately via DM can go both ways. You may get traffic , you may also get blocked and unfollowed. You can't expect everyone to think your link as a legit one. Still, you can make a try to let them click on it with your potential customers(readers). I use automated tools to send out DMs and I only send DM messages to follow or add me friend to my social media profiles since those DMs wouldn't be blocked for sure. You can just test out if that url is sent via DM with some other profile to make sure you can use it automated bacause if that specific url is not sent, it will also block your whole DM message. This explains why I couldn't send you links in a DM :). Did you reply to my DM btw?